It’s almost here. After nearly three weeks of the closure to realign the SR 99 highway away from the old viaduct, crews are putting the finishing touches on the new SR 99 tunnel. In the early hours of Monday, Feb. 4, they’ll begin opening the tunnel to traffic, a process that will occur ramp by ramp over the course of several hours. The tunnel will be fully open by the time you hit the road for your morning commute. The Washington State Department of Transportation encourages drivers to take the time to familiarize themselves with the new two-mile-long tunnel. These videos show you how to get around after the tunnel opens. In addition to providing a direct route from the stadiums to the Space Needle, the tunnel portals have new entrances and exits that will take some getting used to. 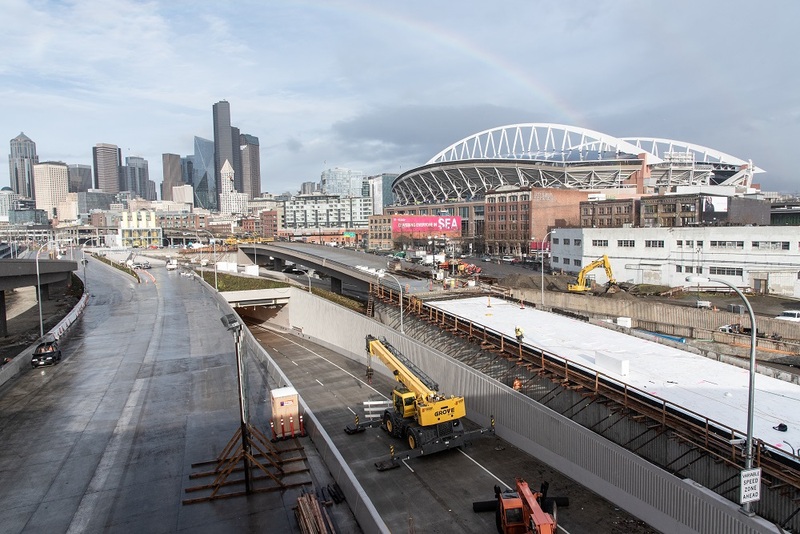 An important reminder: Though the tunnel will open to traffic on Monday, the new northbound off-ramp to Alaskan Way at the south portal won’t open for one to two weeks after the tunnel. That’s especially important for travelers approaching downtown from the south. Until the ramp opens, travelers on northbound SR 99 won’t have the option to exit before the tunnel. That means the next available exit is at the north portal, near the Space Needle. Also note that buses that used to travel on the viaduct will continue their reroute until the ramp opens. Visit King County Metro for additional information about transit service. The tunnel will be free to use when it first opens. Tolling could begin as soon as summer 2019. Toll rates will range from $1 to $2.25 with a Good To Go! pass, depending on time of day. You can learn more about how tolling will work at our tolling page.